MIAMI (AP) — Democrats Donna Shalala, a former Cabinet secretary, and Debbie Mucarsel-Powell on Tuesday won a pair of Florida U.S. House seats that had been held by Republicans. 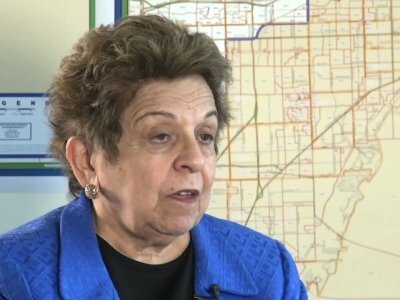 Shalala, the ex-Health and Human Services secretary running for elective office for the first time at age 77, won the 27th District over former television journalist Maria Elvira Salazar. The district was represented for decades by GOP Rep. Ileana Ros-Lehtinen, who is retiring. MIAMI (AP) — Former Clinton administration Cabinet member and university president Donna Shalala won the Democratic nomination Tuesday for a U.S. House seat in Florida widely seen as one of the party's best chances nationally for a pickup from the GOP. CORAL GABLES, Fla. (AP) — She's been president of two major universities. She served as President Bill Clinton's Health and Human Services secretary for eight years. Now, at age 77, Donna Shalala is embarking on a new adventure: a Democratic run for the U.S. House. The Miami-area District 27 seat, long occupied by retiring moderate Republican Rep. Ileana Ros-Lehtinen, is viewed as one of the best chances nationwide for a Democratic pickup in the party's quest to win House control from the GOP. WASHINGTON (AP) — Just when House Republicans needed Donald Trump's backing the most — on their big immigration overhaul — he dashed off a presidential tweet on Friday saying they should quit wasting their time on it. WASHINGTON (AP) — Rep. Dennis Ross, R-Fla., said Wednesday he will retire when his fourth term ends in January and intends to return to practicing law, joining a growing number of departing GOP lawmakers, including House Speaker Paul Ryan, R-Wis.
"I never viewed this amazing opportunity as a job or a career," said Ross, who served in the state Legislature before winning election in 2010 to a congressional district in central Florida that strongly leans Republican. Two House Republicans on Tuesday said Scott Pruitt should resign or that President Trump should fire him, becoming the first sitting officeholders in the GOP to call on the embattled EPA administrator to step aside amid a growing list of controversies and ethical questions. MIAMI (AP) — A Miami Republican congresswoman is defending a well-known Florida school shooting survivor from another lawmaker who attacked her for wearing a Cuban flag patch as she advocated for gun control in Washington. BOGOTA, Colombia (AP) — Rep. Ileana Ros-Lehtinen is asking the Treasury Department to investigate a former congressional intern who's now helping Venezuela's socialist government develop a cryptocurrency to evade U.S. sanctions. The Miami Republican sent a letter Tuesday to Treasury Secretary Steven Mnuchin saying Gabriel Jimenez owns a company in Florida identical in name to the one helping position the so-called petro among international investors. MIAMI (AP) — Former Clinton cabinet member Donna Shalala is vying to win the Democratic nomination to flip a Florida district long held by a popular Republican congresswoman, but her sights are already set on President Donald Trump. President Bill Clinton's former Health and Human Services secretary is 77, a decade older than the retiring Rep. Ileana Ros-Lehtinen, and she's never run for elective office before. MIAMI (AP) — Donna Shalala, the former Health and Human Services secretary and president of the University of Miami, is running as a Democrat for the congressional seat vacated by retiring Republican Rep. Ileana Ros-Lehtinen. According to Federal Election Commission paperwork filed Monday, Shalala, 77, will run in Florida's 27th district, which includes much of Miami Beach, downtown Miami and coastal Miami-Dade County. WASHINGTON (AP) — GOP leaders mostly stayed quiet but more moderate Republicans reacted sharply against President Donald Trump's incendiary comments about "shithole" countries in Africa during a White House meeting Thursday. Democrats howled with outrage. CARACAS, Venezuela (AP) — The Trump administration will send to Venezuela as its top diplomatic envoy a former ambassador with a reputation for candidness and controversy at a time when relations between the countries are rapidly deteriorating. The decision to send Todd D. Robinson to Venezuela was confirmed by the office of Rep. Ileana Ros-Lehtinen, a Florida Republican. WASHINGTON (AP) — Republican and Democratic lawmakers are reacting to President Donald Trump's latest comments on the violence over the weekend in Charlottesville, Virginia. The president said he believes "there's blame on both sides" for what transpired. — Republican House Speaker Paul Ryan: "We must be clear. White supremacy is repulsive. This bigotry is counter to all this country stands for. There can be no moral ambiguity." A bipartisan group of 41 House members expressed concerns to Homeland Security Secretary John Kelly that President Donald Trump's executive orders threaten to hurt protections for immigrant victims of domestic violence and sexual assault. U.S. Rep. Ileana Ros-Lehtinen of Florida, the first Cuban-American elected to Congress, is retiring at the end of her term next year, saying it's time to move on after 38 years in office. The 64-year-old Republican was elected last November to Florida's redrawn 27th district, a stretch of southeast Miami-Dade County that is heavily Democratic. Hillary Clinton won it over Donald Trump by 20 percentage points, and Ros-Lehtinen was able to win it by 10 percentage points. U.S. Rep. Ileana Ros-Lehtinen of Florida is explaining her decision to retirement in a long piece in The Miami Herald. The piece was posted to the paper's website Sunday afternoon. In it, the first Cuban-American elected to Congress called it a personal decision. MIAMI (AP) — Immigration authorities have deported a Nicaraguan man appealing for asylum despite pleas by immigrant rights groups in South Florida. U.S. Immigration and Customs Enforcement said Thursday that 25-year-old Espilvio Sanchez-Benavidez was deported following a court's order. Sanchez-Benavidez is appealing an asylum case that was denied in 2015 for lack of evidence. He arrived in the U.S. in 2013 after receiving death threats following the killing of two relatives. The anti-tax group Club for Growth is targeting 10 House Republicans with television advertising this week urging them to oppose the GOP health care bill. The ads, airing only through Wednesday, call the House bill "Ryancare," after House Speaker Paul Ryan of Wisconsin, and "a bad idea doubling down on disaster." The Republican health care plan will leave more Americans uninsured. 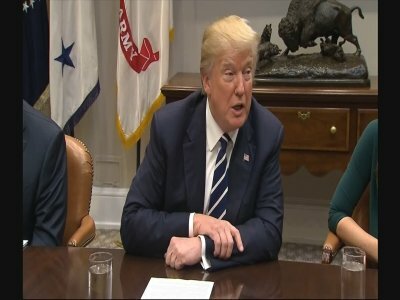 Republican leaders are pushing legislation, strongly supported by President Donald Trump, aimed at dismantling the Affordable Care Act, former President Barack Obama’s health care law. The findings by the nonpartisan Congressional Budget Office found 14 million people would lose health care coverage in the first year alone and 24 million in all by 2026. WASHINGTON (AP) — Illinois U.S. Rep. Brad Schneider will serve on the United States Holocaust Memorial Council. The Democrat represents Illinois' 10th district. He announced his appointment this week to one of five seats reserved on the council for congressional representatives. The council was established by Congress in 1980 to govern the United States Holocaust Memorial Museum in Washington D.C.